An inverter takes DC power (from a battery or renewable energy sources) and converts it into alternating current (AC) power for using electronic equipment and appliances. As we mentioned, direct current is produced by battery and solar panels, and inverters are used for converting this DC current to supply the power for some devices which work with alternating current. Inverters can be designed for different power and different kind of powers. While you using inverters, you can also get clean power for your systems. It is really important to choose the correct inverter, output power of the battery should be convenient with input power of the inverter. You could use your power inverters in the area which there is no stable power supply. Capacity of the inverter determine how many and which type of devices can be used. Small power inverters are easy to carry and install. Inverters offer speed or torque control system for electric motors. There is an LCD screen in front of the 2000 watt inverter to make the operators control easier. 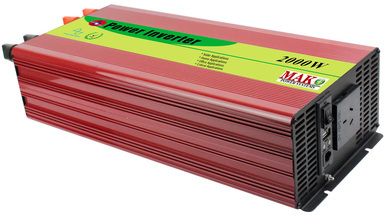 Mak Plus Power Systems Germany offers you different type of inverters with the low first investment price. Our technical team can design standard or customized inverter solutions which are convenient with your requirements. First of all, we understand your needs clearly, then we offer the correct inverter solution. 2000 watt inverter solutions which are designed are according to European standards. We use high quality and strong components for long year span. As Mak Plus Power Systems we have quality certificates for our all type of inverter and other solutions. 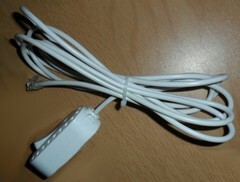 There are alarm systems to warn the operators for over voltage, high voltage, over heating and this kind of problems. We also can design inverters for your specific needs, we called them customized inverter solutions. An inverter can be designed as totally electronic or combination with mechanical effects. Static inverters do not use moving part in conversion process.